My sister and her hubby were in town last weekend from Chicago for a quick visit over Labor Day weekend. They just moved a couple of months ago and I wanted to create something special for her new apartment. What do you think? Pretty cute, huh? I’ll show you how I created it! 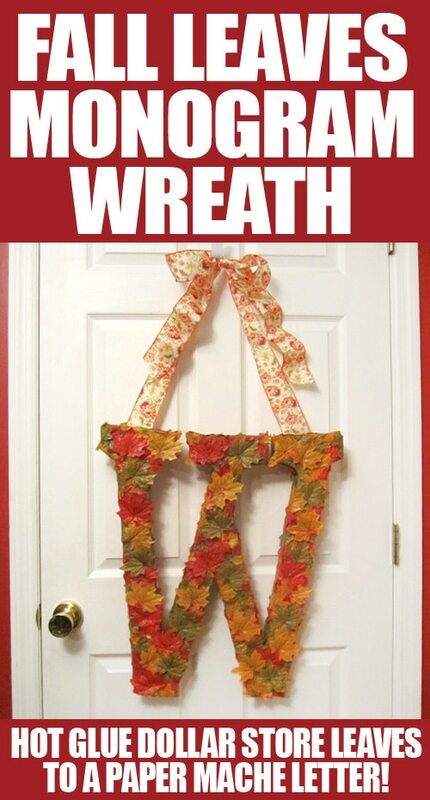 I ran across an adorable leaf wreath a couple of weeks ago on Pinterest and thought this would be a perfect project to create for my sister’s front door. 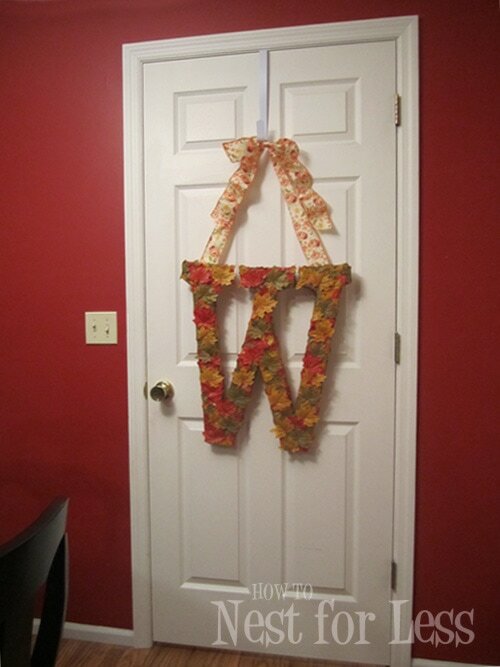 I found a large cardboard W for their last name from JoAnn Fabrics and got some leaves and wire ribbon from the Dollar Store. 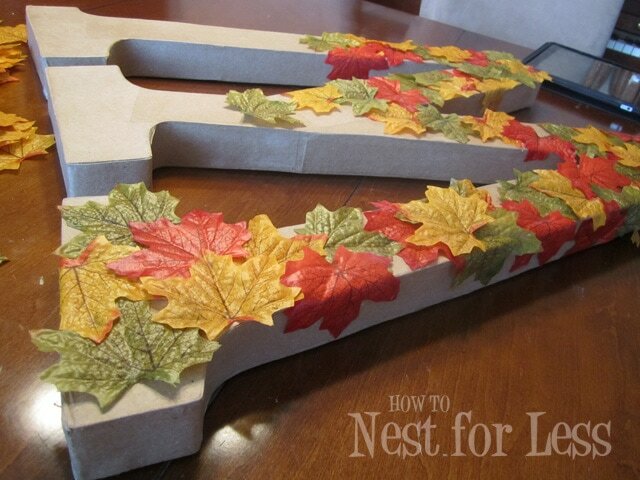 I used my hot glue gun to secure each leaf onto the cardboard letter. 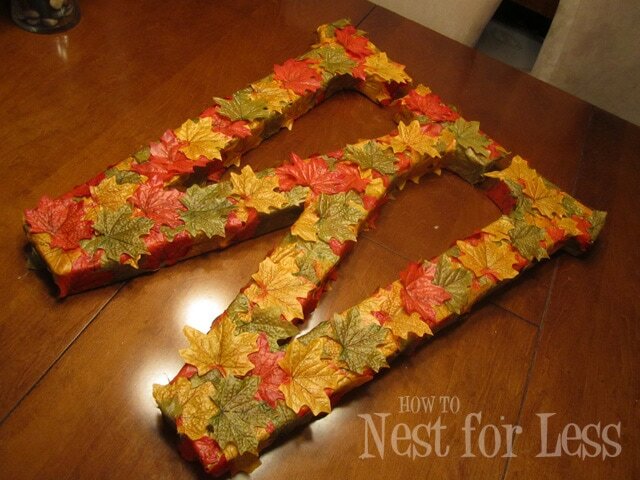 I made sure to mix the color arrangement of red, green and yellow leaves. Here’s a little bit of progress…. And a little more… Really, it’s quite easy. Just a lot of gluing! 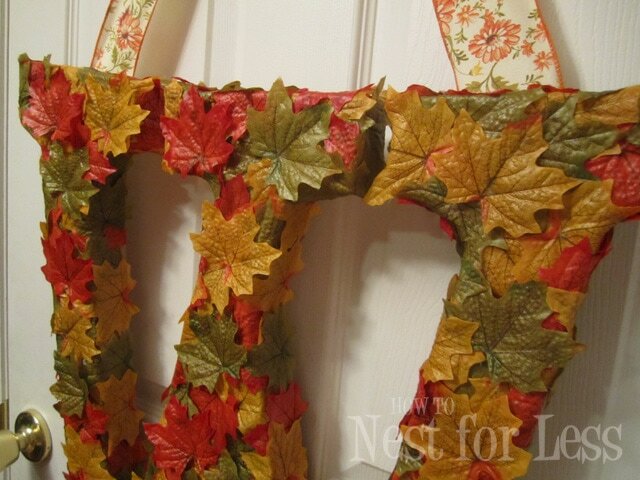 Here’s the cardboard letter all with about 5 bags of leaves glued on! 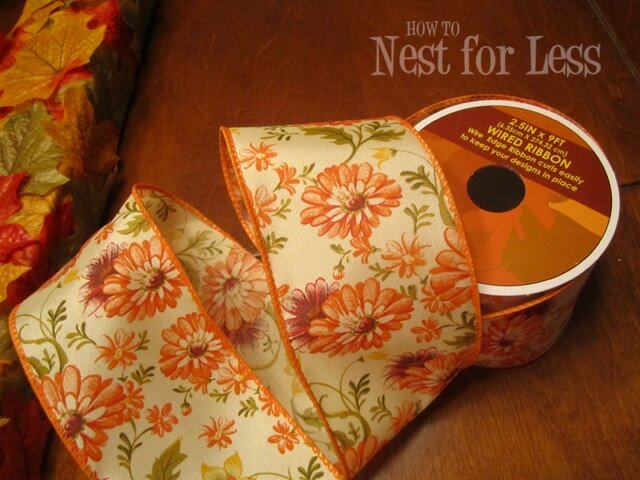 Now it’s time to add on the wired ribbon so I can hang the large W.
I found this wired ribbon from the Dollar Store in a nice Fall pattern. 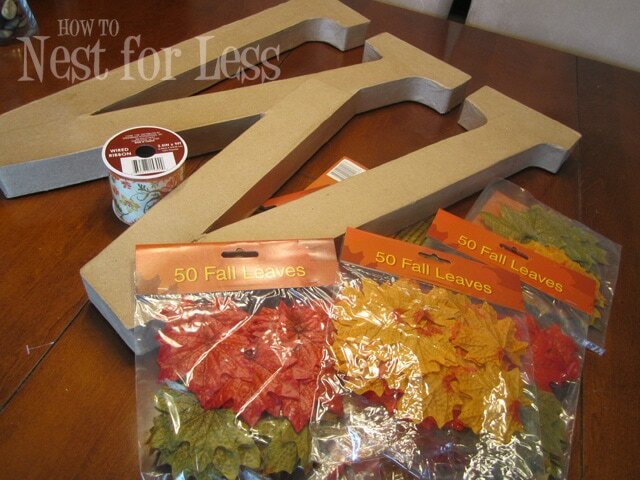 I cut two 12 inch pieces and hot glued them onto the back of the large cardboard letter. I tied the ends into a large bow and that’s it! So pretty and as always creative!! That turned out so cute. Thanks for sharing with my newbie party. Very pretty, Erin! 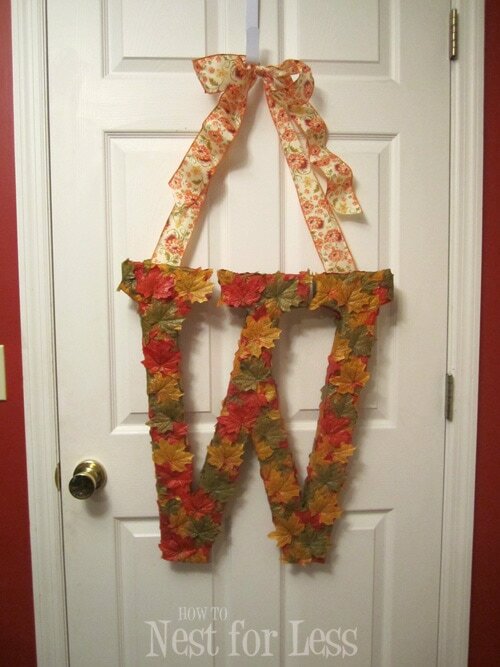 I’m lovin’ all the great monogram decor out there! What a nice home-warming gift for your sister! 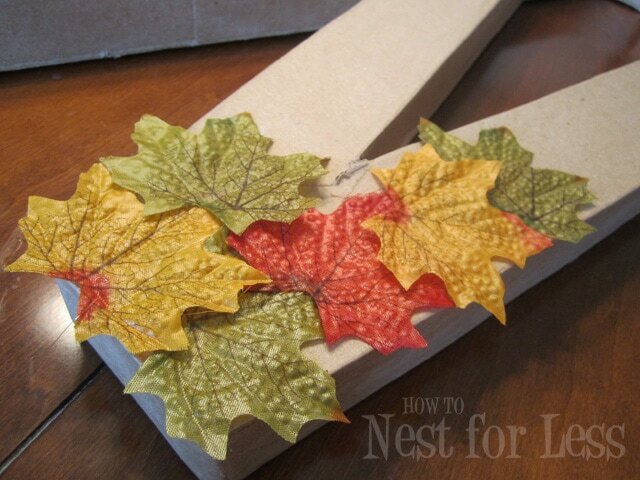 The kids and I have been collecting leaves for a similar project. Your came out so well… Definitely inspiring me to get started already. 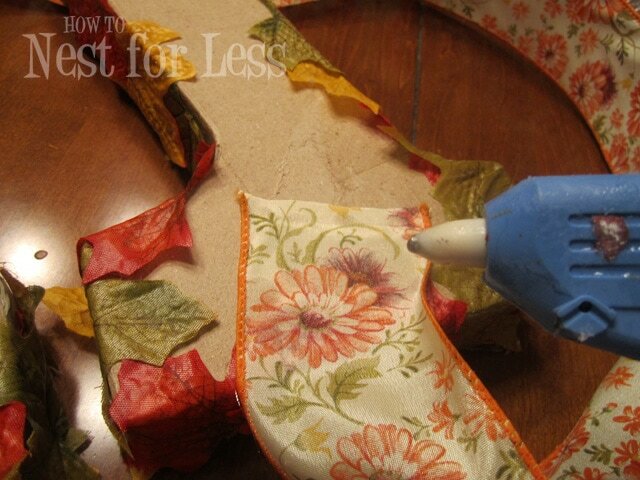 I was planning on using the always reliable mod podge, but now considering your technique. Cute Idea! 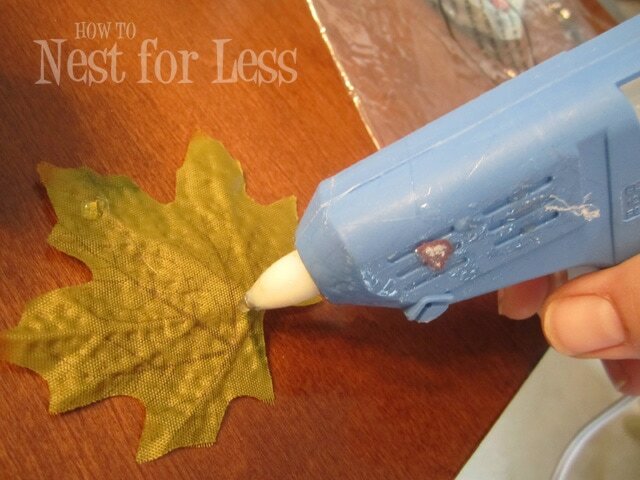 We might try it with real leaves. It would be a good project to do with the kids. Great idea! 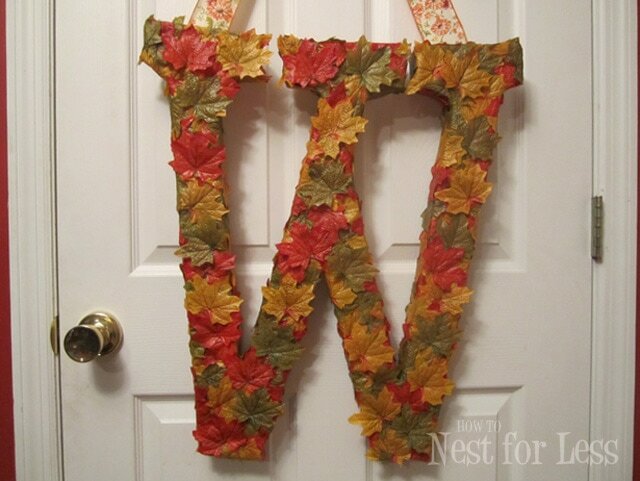 It’s fun to see door decor that isn’t a wreath…I’d loooove for you to link this up at my Fall Craft Challenge this week!